The Outer and Inner Dissolving processes are part of the same circle. The first phase of the Outer Dissolving process works with only the first two energy bodies, the physical and energetic. Inner Dissolving is more complex and initially more difficult, as it works with the first seven energy bodies (physical, energetic, emotional, mental, psychic, karma, essence). The Outer Dissolving process does not require you to have a sense of the motion of the mind or the Mindstream (the stream within which the totality of the mind, both conscious and unconscious, travels). The process does, however, create an environment in which you may gain practical experience of the mind’s normal motion first and, possibly, the significantly subtler Mindstream later. Whether you are deliberately looking for mind and Mindstream, they will be found. The Outer Dissolving process, along with the other preparatory practices, usually creates “the wonderful accident” in which you can spontaneously encounter consciousness itself. For this reason, it makes sense to start practicing the Outer Dissolving process before moving on to deeper Inner Dissolving training, unless you are an experienced meditator. 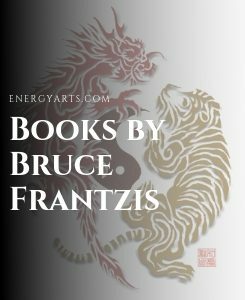 A cornerstone of Taoist philosophy is grounding and starting your practice in your physical body. 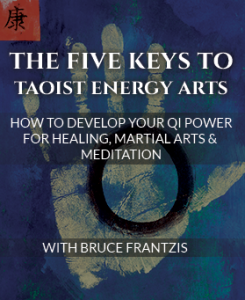 Click here to learn more about Energy Arts’ Taoist Meditation program. The phrase used to describe the Outer Dissolving process has, for millennia, been “ice to water, water to gas.” Ice refers to blocked, congealed energy; water refers to the accepting and relaxing of your internal blockage until it no longer causes you tension. 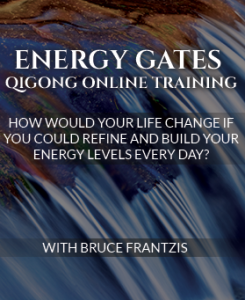 Gas refers to the complete release of all the bound energy moving away from your physical body. The energy might revert to ice if the release is incomplete. In contrast, the phrase used for the Inner Dissolving process of the Water method is “ice to water, water to space.” Space refers to the vast internal space inside the body, space as infinite as the universe. In the ice-to-water phase of Outer Dissolving, the solid, bound, and condensed energetic shape (ice) is released until it relaxes and reaches the surface of your skin (water). In the Inner Dissolving process, your bound energy is also released at the point of the blockage until it becomes relaxed, soft, and amorphous (water). Water, however, contains the inherent capacity to re-condense to ice. “Liquid” energy can now move in two different directions. In the Outer Dissolving process, you release blocked chi from your skin to outside your physical body and then to the edge of your chi or etheric body or even beyond (water to gas). The previously condensed energy is now neutral, unblocked, shapeless, and lacking cohesion. When you move into the water-to-space phase of the Inner Dissolving process, you release all blocked content of your felt sensations by imploding your energy into the inner space that the condensed, blocked, energetic shape occupied, thereby converting your blocked energy into consciousness without content. This is a beginning stage of emptiness. The Taoist position is that there is as much internal space inside you as there is space in the whole external universe. Using the Inner Dissolving method to go ever deeper inside during sitting meditation, for instance, is like letting your dissolved energy open a door into a door within a door, leading deeper and deeper into inner space, the point at which you began dissolving. You implode each layer of energy inward into the point, however far it extends internally, until you finally reach a place where your being naturally comes to a stop. This process may proceed very slowly and take a long time. Depending on your individual nature, you might experience this endpoint as complete and utter yin and yang energy, a feeling or vision of light, or a sense of water, emptiness, calmness, peace or the mind expanding. Rest within that endpoint and try to develop the ability to return to that spot through all of the layers of the your energy at will, especially in the midst of life’s most scary and stressful situations. Eventually, if you dissolve deeply enough into any one spot, you will end up at your true consciousness, which you will discover, has been relieved of the source of your blockage. Consciousness is permanent, and this is the exact point at which you have a glimpse – whether temporary or permanent – of consciousness itself. 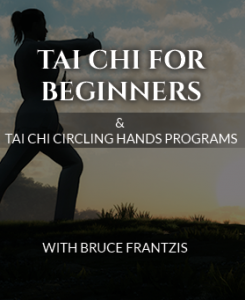 Click here to learn more about our Taoist Meditation program. what I understand is that with dissolving process you stay with an open, non-forcing-anything awareness on what you want to dissolve, until it dissolves. I heard also somebody saying that in order to arrive at what is true, you throw away both what is good and what is bad, as only what is true will stay anyway. So I have a question regarding the second – what if during the process of throwing away there will be something that actually didn’t dissolve?